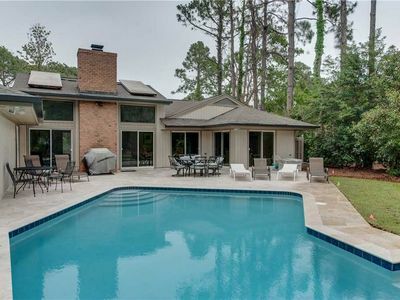 Cozy remodeled Villa with Serene Pool view and close to beach. 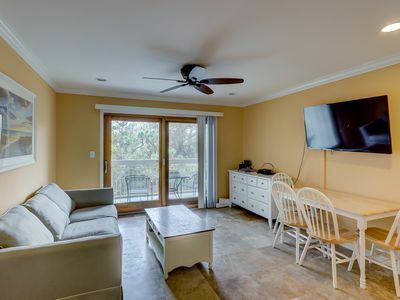 Turnberry 244 has been completely updated and offers a modern, clean, cozy place to return to following a day at the beach or after taking part in any one of the many outdoor activities available at Palmetto Dunes Resort. From the keyless entry system to the free high speed internet everything is geared toward making your vacation stress free. 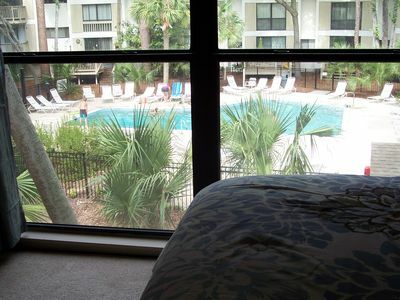 The villa has 3 attractive, spacious bedrooms with beautiful bedding and high quality linens and 3 baths. 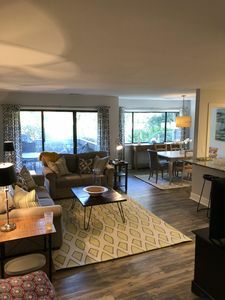 Each bedroom has a flat screen TV and there is another flat screen in the living area. 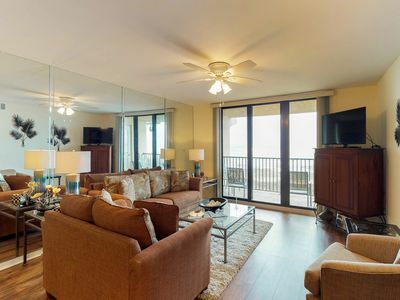 The well equipped gourmet kitchen is complete with stainless steel appliances, granite countertops and a two seat bar . 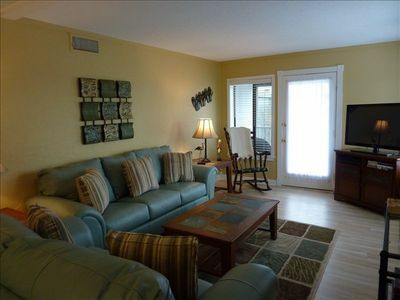 The dining and family rooms have ample seating for eating and watching tv or just hanging out. Off the family room is a quiet, secluded deck that overlooks the pool area and offers a tranquil setting for relaxation. There is a gas grill and seating for six on the deck. 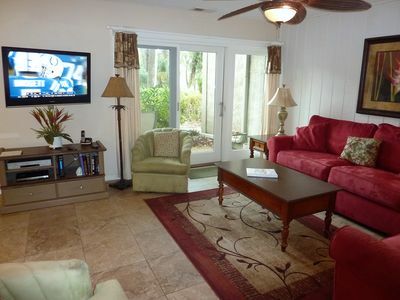 Just a short walk from the villa is a resort style saltwater pool and a large playground area. This villa is smoke free and does not allow pets. 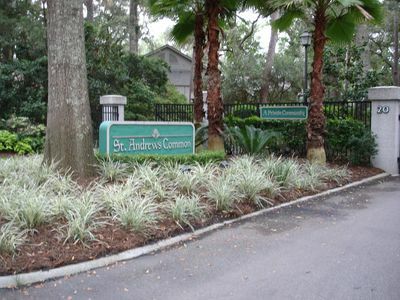 Turnberry Village is a secured community that is golf and outdoor oriented. It offers sprawling green space and a very nature focused enviroment. It is removed from the hustle and bustle yet close enough to enjoy all of the amazing amenities of the resort. 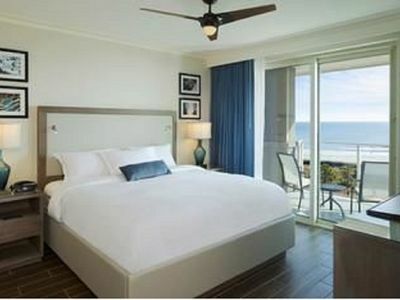 Beach: You will have access to 2 beach houses and miles of pristine beach within the resort. 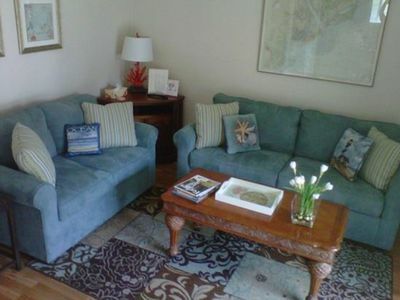 Both beach houses are just a short walk, drive or shuttle from the villa. Golf: The resort offers 3 courses, each rated 4 stars or better by Fodor's Golf Digest. 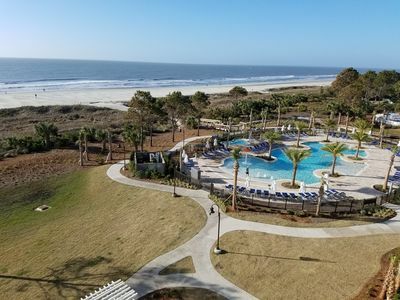 Tennis: Tennis Resorts Online ranked Palmetto Dunes #2 in the World for Best Instruction and Programs as well as #8 in the World for Top Tennis Resorts and also named Palmetto Dunes in the Top 10 for Overall Resorts. Palmetto Dunes is ranked #1 Tennis Resort in the Carolinas by Tennis Magazine. Take part in one of the many daily clinics, take a private lesson or participate in a weekly round robin. There is also a weekly tennis exhibition that offers the opportunity to watch some great tennis and socialize. Outdoor Activities: Kayak or fish in the 11 mile salt water lagoon. Walk, run or cycle on the pristine beach or along the 5 miles of paths within the resort . 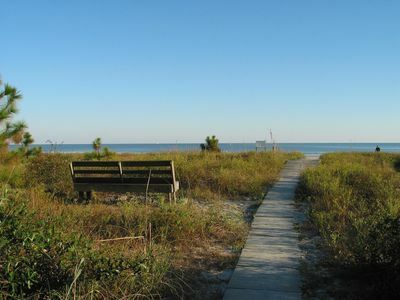 Bring your own bikes and/or kayaks or rent from Palmetto Dunes Outriggers. 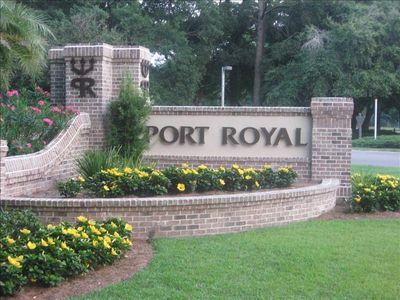 Outside the resort there are more walking and cycling paths, boating, and fishing (inshore and offshore) options. Dining: There are multiple dining options within the resort that range from casual (Palmetto Dunes General Store, Dunes Restaurant, Big Jim's Restaurant) to fine dining (Alexander's Restaurant, Conroy's in the Marriott Resort Hotel, HH Prime in the Omni Hotel). Shelter Cove is just across the highway from the resort and offers a variety of dining and shopping. The dining options outside the resort are plentiful. 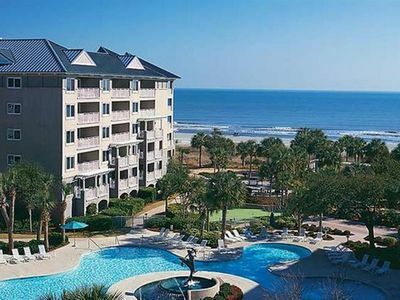 It's no wonder that Palmetto Dunes was chosen as America's #1 Family Resort in North America by Travel + Leisure Family magazine. During season, The Dunes Buggy provides free shuttle service to all resort destinations and Shelter Cove dining and shopping. 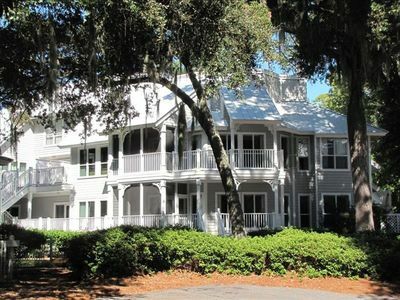 BEST VALUE ON THE BEACH IN SEA PINES! "PERFECT" Poolside Location !!! 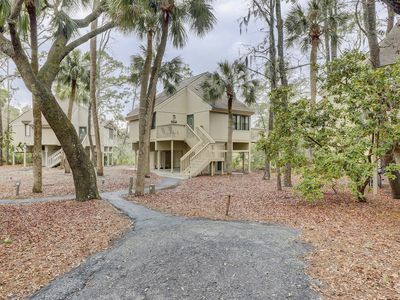 "Steps" to Beach, Bike Path, Coligny !!! Mariott Grande Ocean 4th of July week! Perfect Couples Retreat. 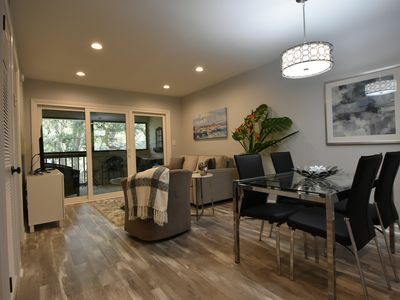 Remodeled 1st Floor with Golf View & Private Patio. Beautiful Villa by the Ocean! 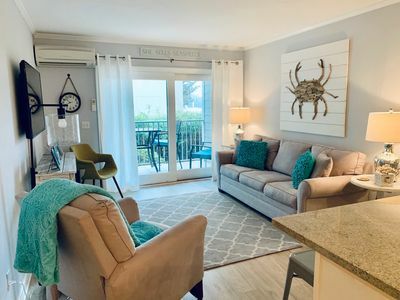 "Anchored on the Beach" New Rental for 2017 on the Beach with Pool!!! 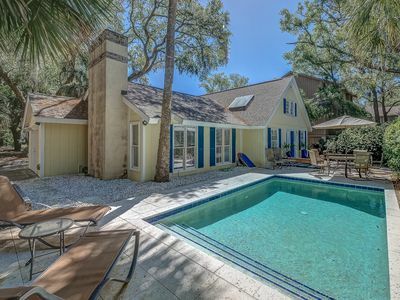 Beautifully Updated Home on the Lagoon w/ Private Pool & 2 Living Areas - Dogs Allowed! 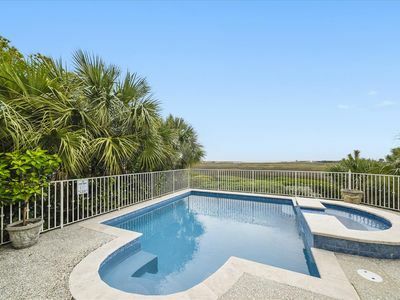 Amazing Ocean & Marsh Views, Quick Walk To Beach, New To The Rental Market! 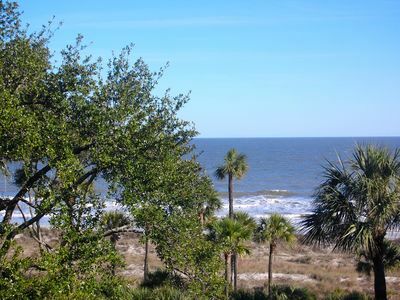 Oceanfront villa w/ ocean views, shared pool/hot tub, & more - walk to beach!